Maurice Bessman received an A.B. from Harvard, an M.S. and PhD from Tufts, and a Post Doctoral fellowship at Washington University in St. Louis. 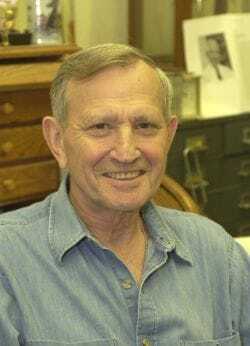 He joined the department of Biology and the McCollum-Pratt Institute at Hopkins as an Assistant Professor in 1958, Professor in 1966, and Professor Emeritus and Research Professor in 2008. Over 600 members of the family have been identified in more than 200 species by BLAST searches of the data banks, and this number is increasing daily. We are systematically cloning selected members of the family, expressing them in E.coli, purifying the proteins and attempting to identify their function. This seemingly difficult task has been made practicable by our discovery that the common feature of the substrates of these enzymes is that they are all Nucleoside diphosphates linked to some other moiety, x, hence the acronym, Nudix. These enzymes can be thought of as surveillance proteins, because their substrates are either potentially toxic to the cell, are signaling molecules, or intermediates whose concentrations require modulation during cellular metabolism.